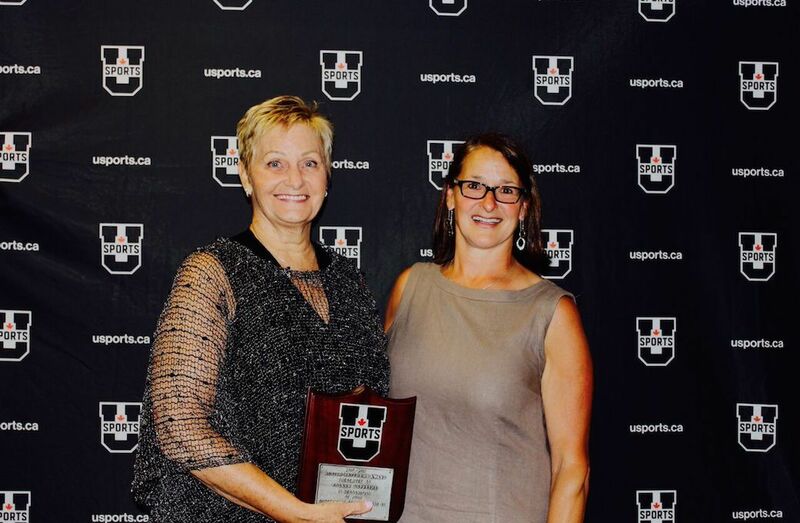 The recently retired athletic director would know well, following a four-decade career that culminated on June 7, when she was presented with the Austin-Matthews Award – given each year to an individual who has made an outstanding contribution to interuniversity sport. Dufresne, a graduate of the University of Ottawa, McGill and the University of New Brunswick has a long resume of accomplishments in university sport. She was a national team basketball player who represented Canada at the 1976 Olympics in Montreal, and also played for the Gee-Gees as a student-athlete. She ended up staying for 17 and taking the Bisons to new heights, winning five Great Plains Athletic Conference (GPAC) championships, and was named GPAC Coach of the Year five times. She also made it to five U SPORTS national championship finals with the Herd winning three banners, including back to back titles in 1996 and 1997. Each championship was special for Dufresne, but the 1996 team held a special place in her heart. “The first (national championship) was with a team that wasn’t expected to win, so pulling together and winning was fabulous,” Dufresne said. “Then I lost my mom when my son was seven weeks old in 1995 and that was the year we won our second national championship. Seeing what our players did for me to help me get through it – they were unbelievable. 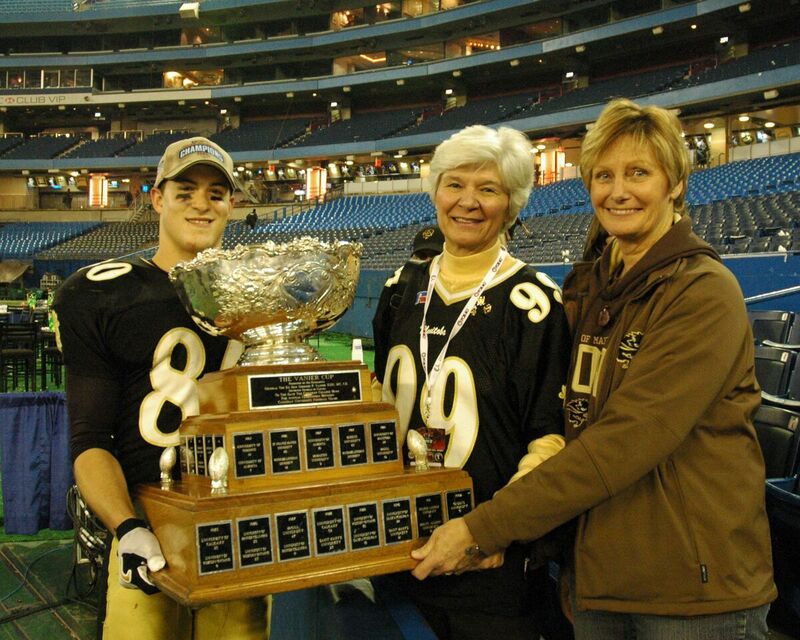 In spite of the heartache of losing your mom, it was an incredible year.” The three-time U SPORTS Coach of the Year then spent 15 seasons as Manitoba’s athletic director, and by that time, her roots were firmly placed in Manitoba. “I did have an opportunity to leave,” Dufresne said. “My husband is from Manitoba, so family was there. By that time my brother had moved to Winnipeg, and Winnipeg’s a great city raise your kids in. I don’t like the winters, but the summers are fabulous.” The Austin-Matthews Award is a special honour for Dufresne, but the real honour was hearing from her former competitors and colleagues and knowing she left an impact on university sport in Canada. “It’s special to me because I look at the people who have won it before,” she said. THUNDER BAY, Ont. 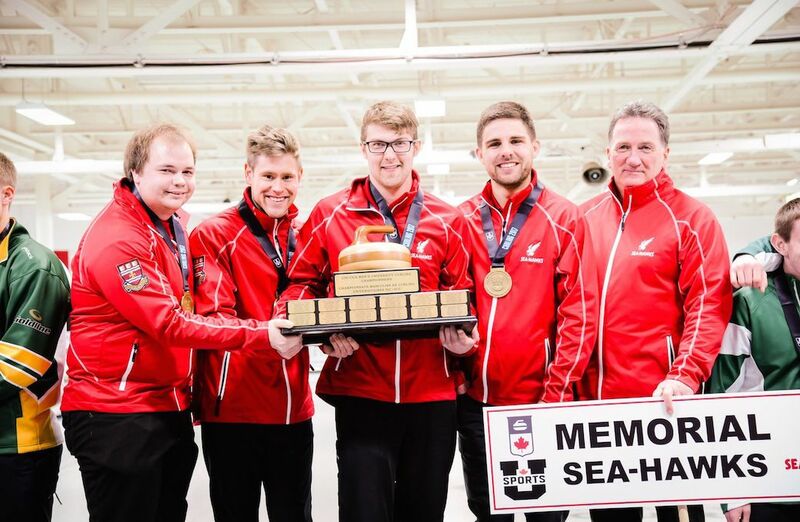 (U SPORTS) – The Laurentian Voyageurs (women) and Memorial Sea-Hawks (men) captured the 2017 U SPORTS/Curling Canada Curling Championships on Wednesday at the Fort William Curling Club in Thunder Bay.